The Airbrush Company Ltd is the UK distributor of Iwata airbrushes and compressors, Medea, Zazzo, Artool, LifeColor, LionRoar, GreatWall Hobby and Premi-Air products. 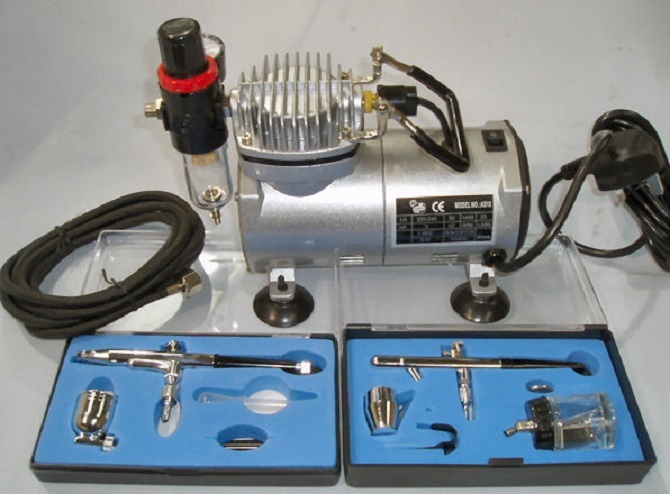 The Airbrush Company has a 65-year family history in airbrushes. We know what makes a good quality airbrush, so we only stock the best brands, such as Iwata airbrushes. Airbrushes are our core business, but when taking on new ranges of products like paints or other tools, we like to make sure these are also the best available in keeping with the quality of our airbrush brands. The Airbrush Company is the only UK airbrush distributor with a full-time technician, who is servicing, repairing and giving technical support on the phone for our customers every day, all year round. Among our sales staff, we have staff who have experience and knowledge of every airbrush application, inlcuding art and graphics, scale modelling, cake decorating, crafts, textiles and beauty applications, so we have all bases covered if you need the best airbrush advice. We offer classes on every airbrush application in our training room, and also with our recommended experts.